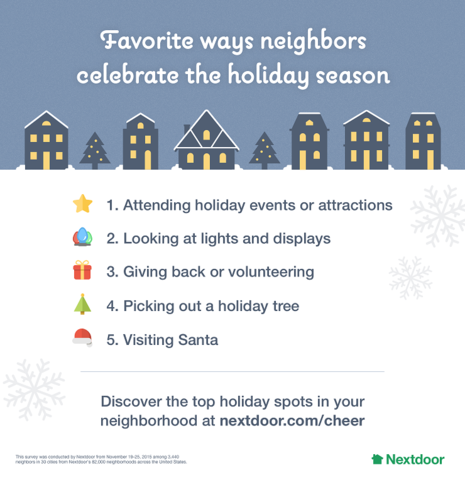 As communities across the country gear up for the holidays, Nextdoor, the private social network for neighborhoods, has released data on the most popular ways that neighbors celebrate the season. You might think people only celebrate the holidays with their families. But, according to Nextdoor's 2015 holiday survey, 45 percent of U.S. residents celebrate the holidays in some way with their neighbors. The survey also looked at residents' favorite way to celebrate the season.